Our June 10th tour started at Loafer’s Glory, greeting 52 members with 25 cars with hot coffee and doughnuts. It was a beautiful sunny morning with no rain in site!! (It never rains on a car function)!!! We started our tour about 8:45 and traveled only a few miles to our first stop. 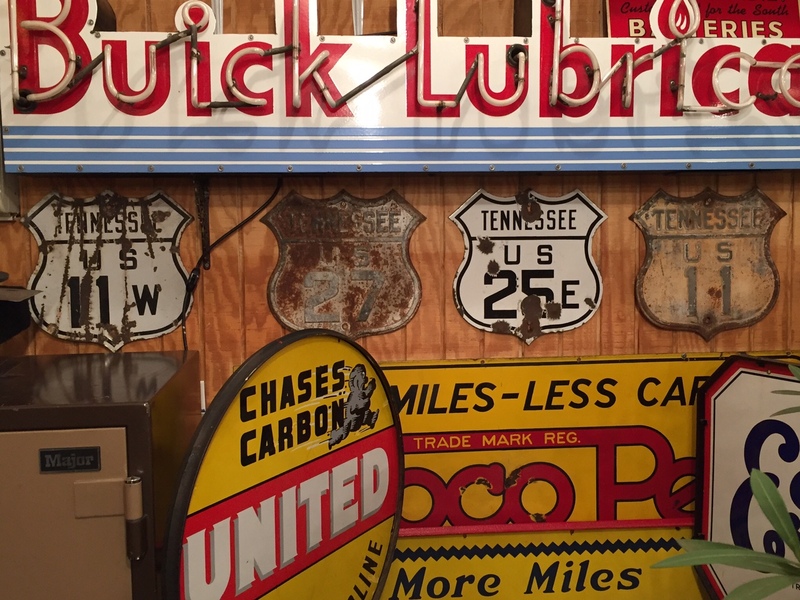 As we toured through the home and garage we saw some very rare gas and oil signs, cans, gas globes and other car memorabilia. Most were very rare if not the only ones known to exist. 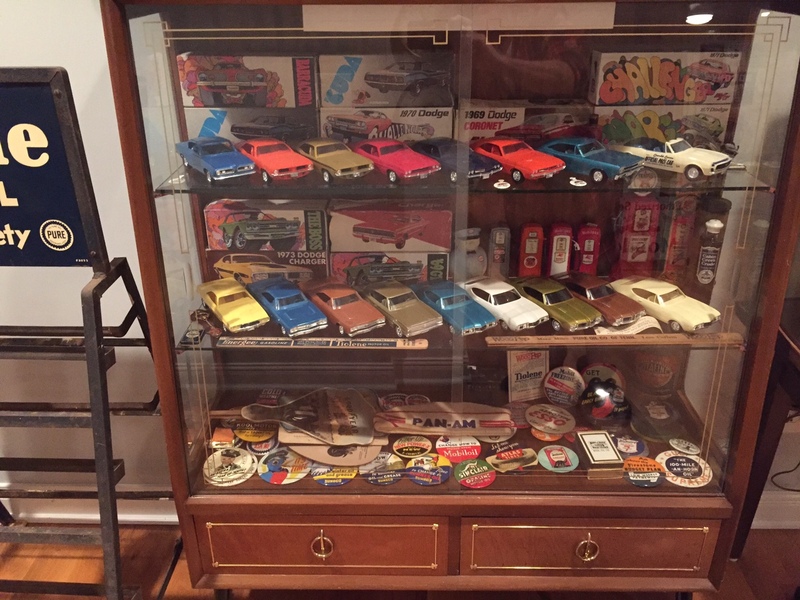 They have an amazing collection that has taken years to accumulate. Their home is filled with an array of antique furniture and furnishings from their years hunting and collecting antiques. 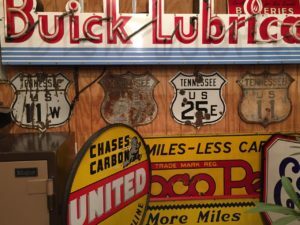 The Music City AACA would like to invite the members of the Battlefield AACA and the Honk, Rattle and Roll AACA Touring Group to join us on Saturday, June 17 for a visit to The Days Gone By Museum in Portland, TN. 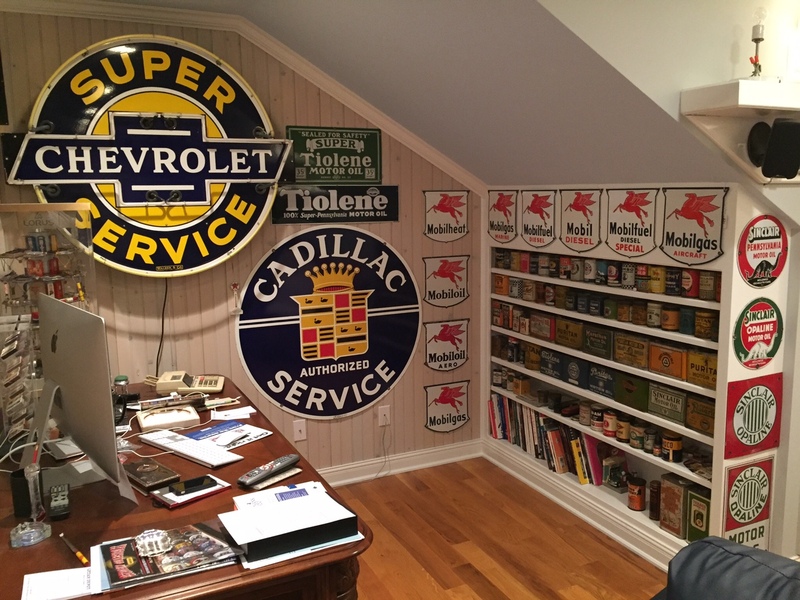 Happy 50th Anniversary to Tom and Barbara Collins! 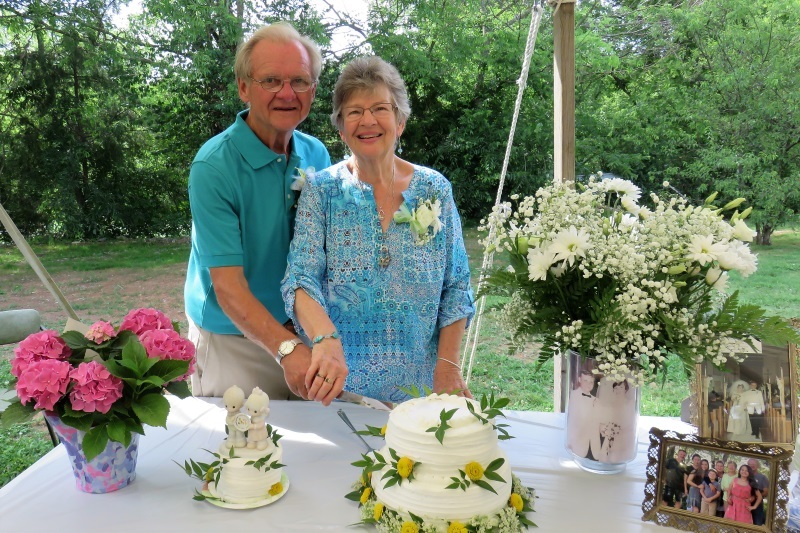 Happy anniversary to Tom and Barbara Collins who celebrated 50 years of marital bliss today!